What’s your personality type? ESTP, INTJ, INFJ or something else? If it all sounds familiar to you, it’s because you likely have taken or heard about the Myers–Briggs Type Indicator (MBTI) before. In fact, MBTI is possibly the world’s most popular and widely used personality assessment; with roughly 2 million people taking it annually. It’s the most (over)hyped assessment too. 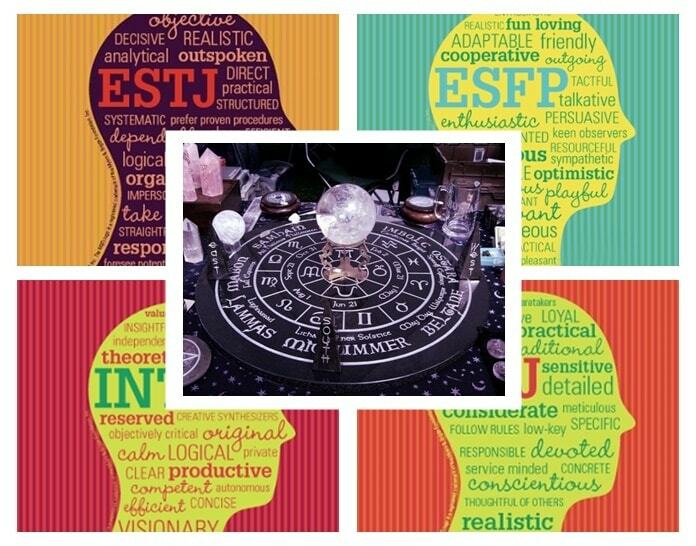 The MBTI was created by 2 Americans, Katharine Cook Briggs and her daughter Isabel Briggs Myers, during World War II, and is based on a 1920s’ theory proposed by Carl Gustav Jung, a Swiss psychiatrist and psychotherapist. By answering a list of 88 or 93 questions, depending on the version, MBTI’s participants can be grouped into 16 personality types. The concept of MBTI is that each individual’s personality consists of 4 dimensions, and each dimension has 2 possibilities. These dimensions and their corresponding possibilities are Intuition/Sensing, Perception/Judging, Feeling/Thinking, and Introversion/Extraversion. In total, there are 16 combinations, or 16 personality types and are referred to by abbreviation of four letters. The test is frequently used for a wide variety of applications in education, recruitment, career counselling, corporate training, professional and personal development. 89 of the Fortune 100 companies, along with about 200 US federal government agencies are using this test for assessing their employees and job candidates. The MBTI has been translated and adapted into over 20 languages. CPP, the company that administers and markets the test, makes a healthy $20 million in revenues annually. Regardless of its popularity and commercial success, the MBTI is almost disregarded by the entire psychology community. The test has rarely been mentioned in any research published in major psychology journals, except for articles that criticised the test. The only journal that frequently publishes something about the test is The Journal of Psychological Type, which ironically is supported by the sales of the test itself. Why do psychologists unanimously disapprove such a popular personality test? 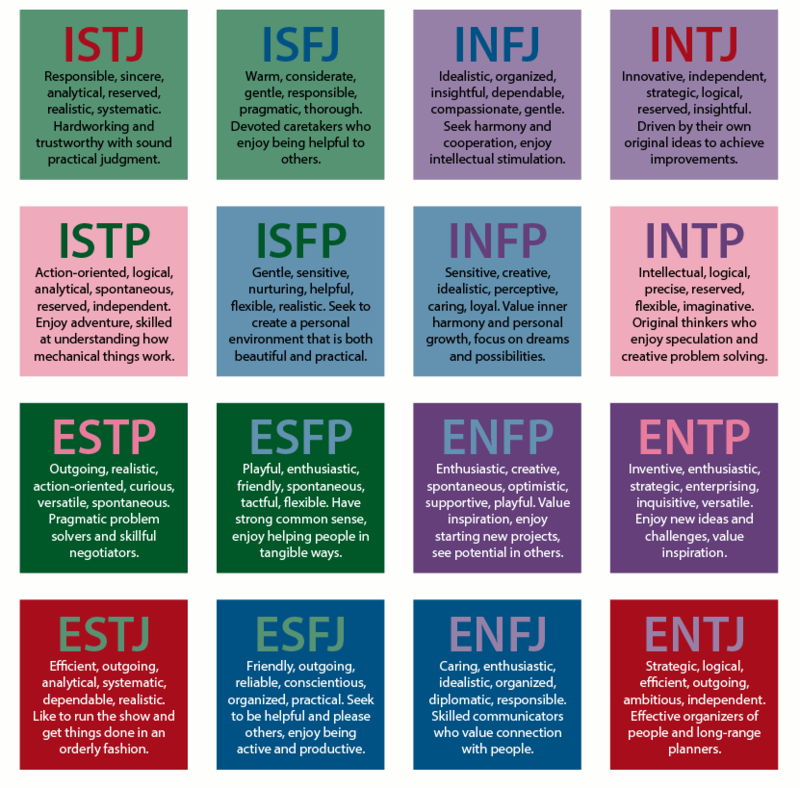 The MBTI is based on Carl Jung's theory of psychological types, first published in 1921, in which he proposed four dominant human cognitive functions (thinking, feeling, sensation, and intuition) that were somewhat similar to the later MBTI’s four dichotomies. This theory, however, was purely based on Jung’s subjective observations and experience rather than any empirical evidence. Before reading Jung’s theory, Katharine Cook Briggs herself came up with a speculation that personality falls into four temperaments: meditative, spontaneous, executive, and social. Such typology was also based on her own observation of her family members. Neither Katharine Cook Briggs nor Isabel Briggs Myers were formally educated psychologists. Instead, Myers learned techniques of test-making and statistical methods from Edward Hay, a personnel manager at a Philadelphia bank. In other words, the MBTI is a brilliant product of pure speculation and hypotheses unsupported by scientific data and controlled experiments. The cornerstones of scientific methodology are validity and reliability, all of which are sorely lacking in MBTI. Additionally, the test also suffers from poor utility, i.e. practical use. Validity refers to a test’s ability to correctly meet its aim. In this case, the test should be able to identify and categorise different individuals’ personality. The MBTI’s poor validity partly arises from its use of the 4 dichotomies. In reality, human personality traits fall within spectrums, for example: the degree of introversion, rather than binaries, for example: either introversion or extraversion. There is little chance that a person is either absolutely introvert or absolutely extrovert. Virtually all of us are somewhere between those two extremes. Many of MBTI’s questions are ‘forced choices’ and constructed with only two answers representing two extreme possibilities. For example, one question would ask you: “You tend to sympathise with other people”, with only two answers: “Yes”, and “No”. Most scientific research proves that personality traits closely follow a normal distribution i.e. most people are in the middle of the scale. For example, around 68% of people can be described as mildly introverted / extraverted. Only 16% can be considered clearly introverted or clearly extraverted. As a result, the MBTI’s approach fails to correctly assess personality in real life. Read more: Which Career pie for Ambiverts? Reliability refers to the consistency of the test. In particular, when the test is taken by one person more than one time, it should still yield the same result. In this regard, the MBTI test also performs very poorly. Research has indicated that up to 50% of people get 2 different results when they take the test twice, even though the second test is only 5 weeks after the first one. The general industry standard is between 70%-90%. Given its poor validity and reliability, it is little wonder that MBTI’s value is almost limited to entertaining. In 1991, a review committee of the United States National Academy of Sciences concluded that there was "not sufficient, well-designed research to justify the use of the MBTI in career counselling programs.” Even though it is widely reported that MBTI is a powerful tool to determine job fit, i.e. which career you should choose, researchers find that the percentage of MBTI types within each profession is close to that within a random sample of the population. The MBTI, therefore, is practically useless in predicting people’s possibility to perform well in specific jobs. Even the MBTI’s published ethical guidelines state that: "It is unethical and in many cases illegal to require job applicants to take the Indicator if the results will be used to screen out applicants." The MBTI Manual also explicitly discourages using the test as a predictor of job success. Despite this fact, millions clearly ignore the warning and use it anyway. The MBTI continues to do very well due to the same reason why astrology is still so beloved. No matter what type you fall into, your description is full of positive, flattering words like “action-oriented”, “gentle”, “creative”, or “enthusiastic”. Consequently, people are all very happy after finishing the test and hence hold a favourable view of the test. The MBTI’s participants also experience what is called the Forer Effect, named after psychologist Bertram R. Forer. In his experiment in 1948, Forer gave a group of students a psychology test. One week later, he gave each student a supposedly personalised result consisting of 13 statements about that student’s personality, and most students considered their results very accurate. In fact, all of them were given the same 13 statements, taken from an astrology book. Those statements are vague and general enough to apply to most people. The students read their own meaning into the statements and thus considered them “personal.” The same could be said for MBTI’s results. What test should you choose? If your organisation is genuinely serious about personality assessments and performance prediction, you should rely on scientifically proven tests such as the five-factor model or ProfileXT. But what exactly is a scientifically proven test? First, it must be built upon proven, supported theory (or theories.) Second, it must satisfy the validity, reliability and utility principles. And finally, the test result should be accompanied by professional interpretation and consultation from qualified experts. Organisations, however, must keep in mind that even a valid and reliable personality test is not enough to predict job performance and job fit. An effective employee assessment should cover all relationships between personal attributes and the performance potential. The ProfileXT assessment, for instance, measures 3 broad aspects of Thinking Style, Behavioural Traits (which already includes personality traits), and Occupational Interests. Are you in the process of improving your hiring process? Download our white paper “The Interview Addiction” now. The Inevitable Truth: Why Motivating Employees is a Must! Growth Mindset at Work: Why and How?